Very First AdventureHoney Tour Operator of the Month! When introduced to John Gray, otherwise known as ‘The Caveman’ in his adopted home of Thailand, we knew we had our first AdventureHoney Tour Operator of the Month! A man dedicated to his passion for adventure kayaking and, through his business, sharing it with the world. 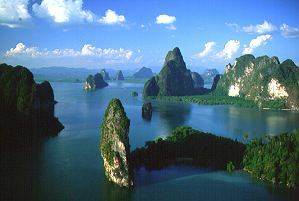 The Caveman left his native Honolulu in 1989 on a quest to uncover the legend that is: Phang Nga Bay, Thailand. What he found was something that goes beyond the simple pleasure of paddling. The Caveman lives simply in a modest 7mx7m house in Thailand. He’s a beautiful soul whose kayaking operations – now in 5 countries throughout Asia and the Pacific – have done a great deal of good for less fortunate local communities. “I started Natural History by Sea Kayak in Hawaai in 1983 to develop activities for rural villages with no economies,” says a reflective John. 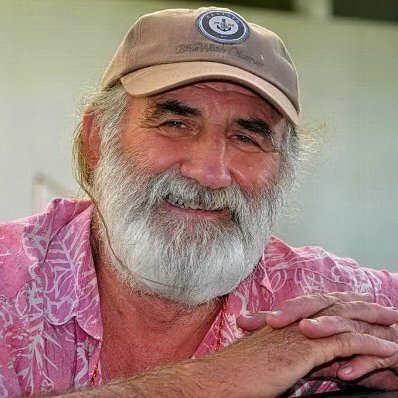 The Caveman goes on to explain how he was inspired by the tremendous impact he could have upon local communities – simply by purchasing a few kayaks. This is why the The Caveman and AdventureHoney do what we do. To give travellers incredible experiences they’ll remember for a lifetime while leveraging that business to ensure a positive impact upon local communities. Power to The Caveman and all operators around the world like him! p.p.s. IF YOU’RE AN ADVENTURE OPERATOR: offering adventurous experiences in a sustainable way, we’d love to consider including you on the website. Contact AdventureHoney suport: info@adventurehoney.com or login at AdventureHoney and click add experience. I’ve had difficulty clearing my thoughts in getting my ideas out there. I do enjoy writing however it just seems like the first 10 to 15 minutes are generally lost simply just trying to figure out how to begin. Any suggestions or hints? Many thanks!